One of our preferred builders strikes again! Our customer was looking for an oversized 3 bay pole garage for general storage and larger vehicle parking. However, with so many projects currently under way (which is what created the need for this building in the first place) he just did not have the time to construct it himself. He consulted with us and we recommended one of our preferred and trusted builders. Problem solved! As for the building itself, we incorporated 26' trusses (which we manufacture ourselves) to run the depth of this 30' building. 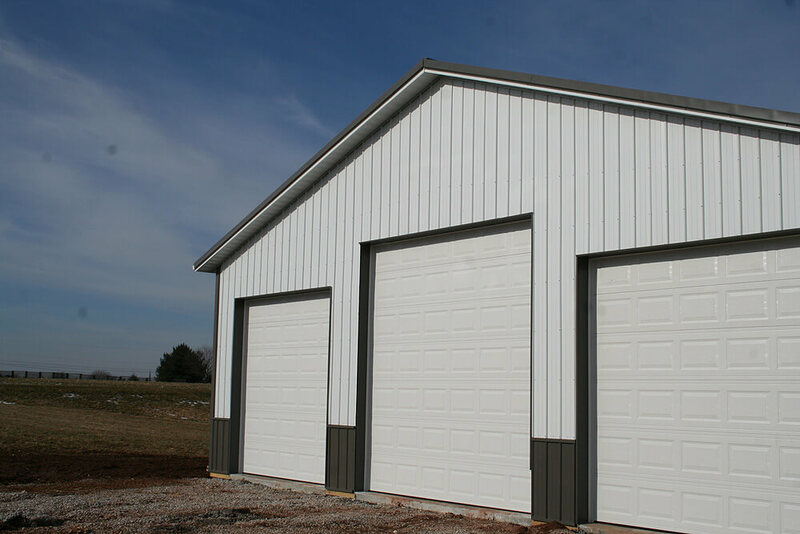 The 26' width of the building allowed for a total of 3 garage doors across the front. Windows were added to the building sides for light and airflow when the garage doors are closed. 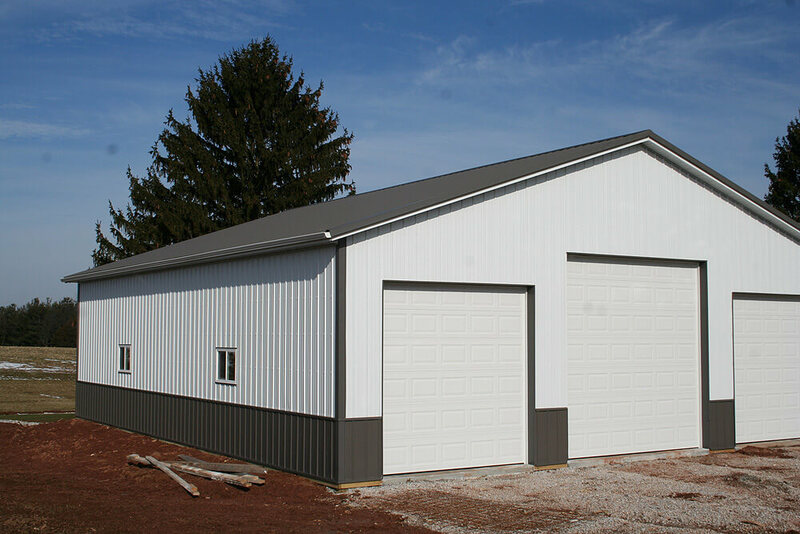 A dark wainscoting was added to the white metal siding to give the building some contrast and added character.